Please include a list of the items you want to purchase, as well as your shipping address. Note the shipping fee is per order, not per book. Please include all information requested above in your email. In the table below, an item whose price shows as ‘OOP’ is out of print or production. Below the table are descriptions of selected items in the table. Above the Clouds, the Society’s 2013 members’ haiku and allied forms of poetry anthology, with the addition of works from the esteemed 2013 Haiku in the Park poets, Gregory Longenecker, Michael Sheffield and Dennis Bolger. Edited by Patrick Gallagher, who also designed the anthology and the cover. Above the Clouds is 71 pages; 6″ x 9″. Glossy art covers; paperback, perfect bound. ISBN 978-0-9850972-6-4. 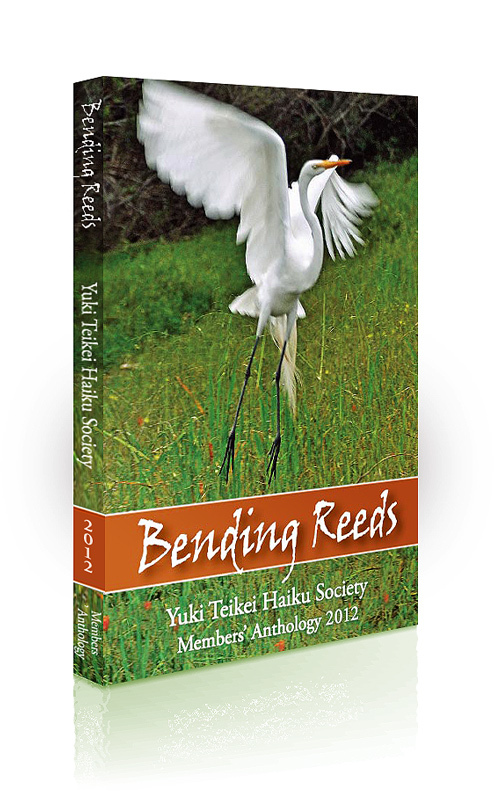 Bending Reeds, the Society’s 2012 members’ haiku poetry anthology, with the addition of many haiku of Dr. Akido Arima and Kai Hasegawa newly translated from the Japanese. Edited by Patricia Machmiller, the anthology features haiga and illustrations by nature photographer Edward Grossmith. Judith Morrison Schallberger designed the anthology and Harry Lafnear designed the cover. Translations are by Fay Aoyagi and Patricia Machmiller. Bending Reeds is 94 pages; 6″ x 9″. Glossy art covers; paperback, perfect bound. ISBN 978-0-9850972-1-9. Wild Violets, the Society’s 2011 poetry, haibun, and essay anthology. Edited and introduced by Jerry Ball and J. Zimmerman, the anthology’s poems and text are enhanced by Ann Bendixen’s powerful, elegant art. Judith Morrison Schallberger designed the anthology and Harry Lafnear designed the cover. Wild Violets is 70 pages plus folding inserts; 6″ x 9″. Glossy art covers; perfect bound. ISBN 978-0-9745404-9-8. The editors’ introduction can be read here. The anthology was enthusiastically reviewed by Notes from the Gean. “Kiyoko’s Sky; The Haiku of Kiyoko Tokutomi”, translations by Patricia Machmiller and Fay Aoyagi with introduction by June Hopper Hymas, Brooks Books, 2002. “Autumn Loneliness. The letters of Kiyoshi & Kiyoko Tokutomi, July – December 1967”, Translated by Tei Matsushita Scott & Patricia J. Machmiller, Hardscratch Press, 2009. 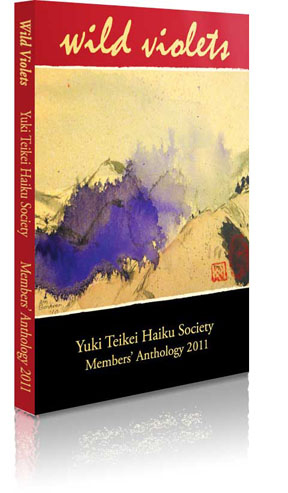 The Tokutomis were the founders of the Yuki Teikei Haiku Society. The book contains 300 letters of those exchanged between Kiyoshi and Kiyoko during a very difficult period in their lives. In 1967 Kiyoshi had just lost his hearing due to medication he was taking for tuberculosis. He traveled to Japan for a long hospital stay to undergo treatment that would attempt to recover his hearing. Kiyoko remained in the U.S. in Japantown San Jose with their 10-year-old daughter, Yukiko. The letters reveal their deeply respectful and loving relationship, how they dealt with grief and disappointment ”individually and together” and the empathetic and steadfast way they supported each other during difficult times. The 360 page book has a selection of pictures of the Tokutomis in their early years. 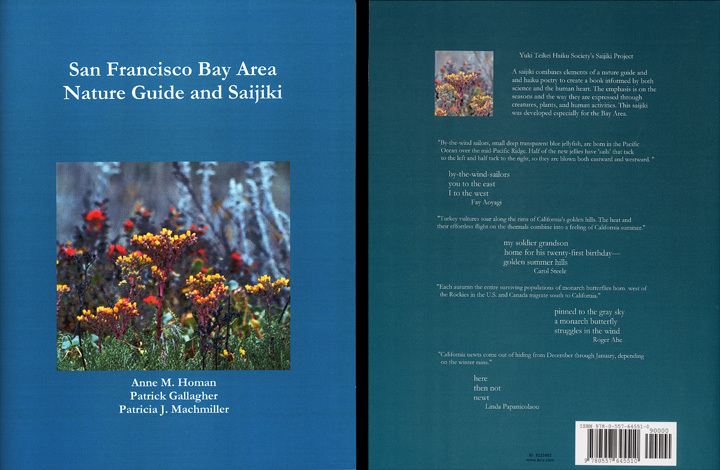 “San Francisco Bay Area Nature Guide and Saijiki”, eds. Anne M. Homan, Patrick Gallagher, and Patricia J. Machmiller, published by Yuki Teikei Haiku Society, 2010. 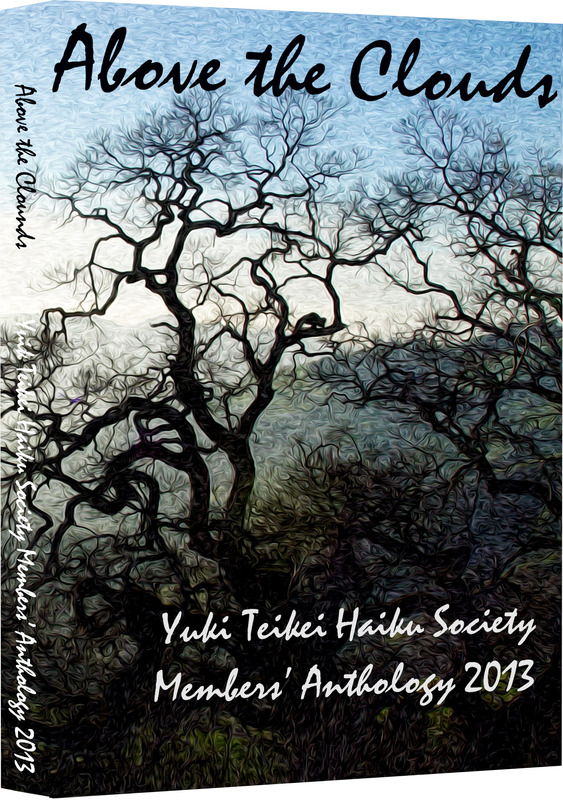 This SF Bay Area saijiki was eleven years in the making and contains 96 region-specific kigos with descriptions, photographs, and haiku. It can be previewed at www.lulu.com; also can be purchased directly from lulu for $36.40. An ebook addition is also available at www.lulu.com for $5.99. “Diary of Kiyoshi Tokutomi: July 1975 to December 1977”, translated by Tei Matsushita Scott and with annotations and introduction by Patricia J. Machmiller, lulu, 2010. It can be previewed at www.lulu.com and purchased there. “Season Words in English Haiku” by Jun-ichi Sakuma & YTHS. 1980. A survey of all the haiku being used in the United States, Canada, and Australia. “Sakura”, eds. donnalynn chase & June Hopper Hymas, 2009. This little book contains cherry blossom verses from over 15 years of YTHS linked poetry.